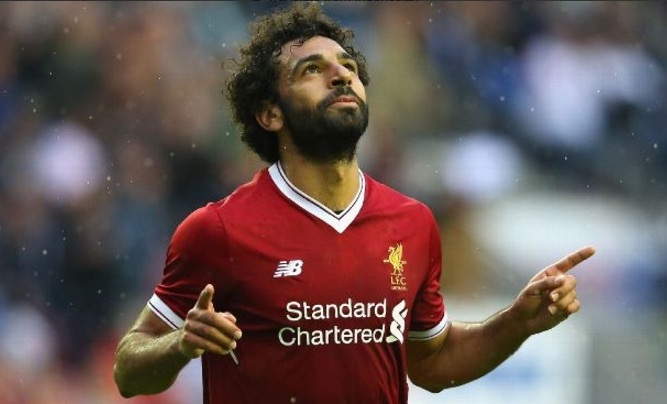 Mohamed Salah came back to haunt Chelsea on Saturday as he scored to put Liverpool ahead against his former employers. The Egyptian now boasts a tally of 15 goals across all competitions for the Reds this season, 10 of which have made him the Premier League’s top scorer. Jurgen Klopp’s men had arguably controlled the game up until Salah’s opener in the 65th minute, with Chelsea having set up deep in aid of breaking on the counterattack. The hosts made the breakthrough courtesy of a cool finish from the forward, who ran onto Alex Oxlade-Chamberlain’s delicate touch before slotting home past Thibaut Courtois. Philippe Coutinho also played a vital role in the build up, producing the driving run that saw the ball eventually break into Oxlade-Chamberlain’s path.